Secure power supply at the exhibition of products. It looks good, it is very good for use at the exhibition. I am also very satisfied with building well. This review is about item#39470471. This review is about item#48835482. It is a good item to use in places where it is not too long. It is compact and convenient to carry. I hope the price is cheaper a little more. This review is about item#10005545. I am using it to extend the outlet in the factory. 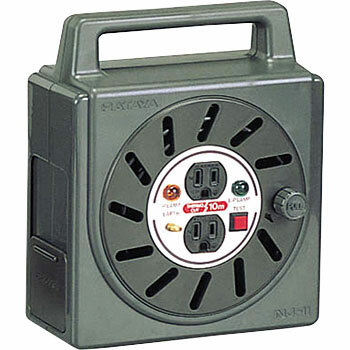 It is not a type of a picture but a type without a cover but since four outlets are pitched, it is usually around 2 but it is convenient to use. When using a power tool in the factory. It is just fine in size. More than anything made in Japan. The code is soft, and it is not habitable. It is more compact than the one we imagined and easy to handle. There is versatility in a three-hole outlet with a ground. When using the garden planting trees, I used it to use electric saw and saw chain. This review is about item#10005554. It is secure and makes you feel secure. The seal made in Japan is also good feeling. The cable is soft and easy to handle and wind up. Light and convenient to carry and convenient.